It's no secret that I love gift giving! The best gifts to buy are the ones that are not required or expected. It's fun to show someone that you are thinking about them by giving them a special gift or small token. Mother's Day is a perfect excuse to show your mother, grandmother, or friend that you love her. Gifts don't have to be extravagant and over the top; there are millions of free or inexpensive gifts to share with your favorite mother this year. I've put together a list of my favorite inexpensive and unique gifts and hope that you find something that you love, too! I have a secret love affair with tea towels and dish towels. Luckily an efficient dishwasher eliminates the need to actually use the towels on a regular basis, but I love to hang dish towels in the kitchen and change them with the season or mood. 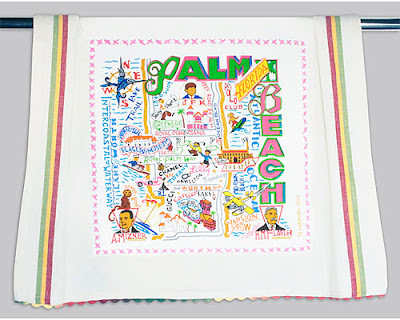 The Palm Beach Dish Towel is perfect for the Mommy who loves the Palm Beach lifestyle all year long. The dish towel is also available for a dozen or so other cities, so be sure to see if your town is included. Is your mother tech savvy? My mother is a computer whiz and loves to listen to music. Just last night, she was testing out my new iphone at the DAR meeting. 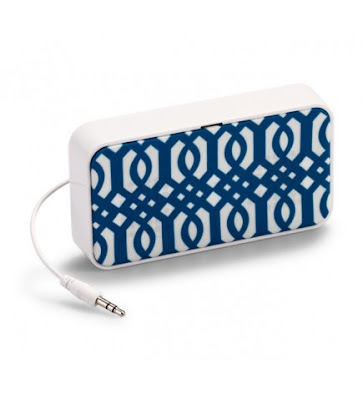 I think I see this preppy patterned Portable Speaker in her future! A good book always is an excellent choice for a gift. 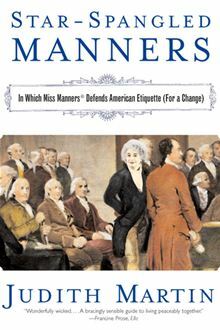 Star Spangled Manners is an interesting book that explores manners in a different way than a traditional book about manners. This book presents a historical look at American Customs and Manners and details why we do the things we do. It's a great choice for history lovers or those who appreciate good manners. Thanks to my friend Leesa who discovered this book! It's a must read. Here's the gift that keeps on giving. We're enjoying local organic vegetables straight from the farm already this spring and I was so excited when I saw the Lettuce Garden Mix. 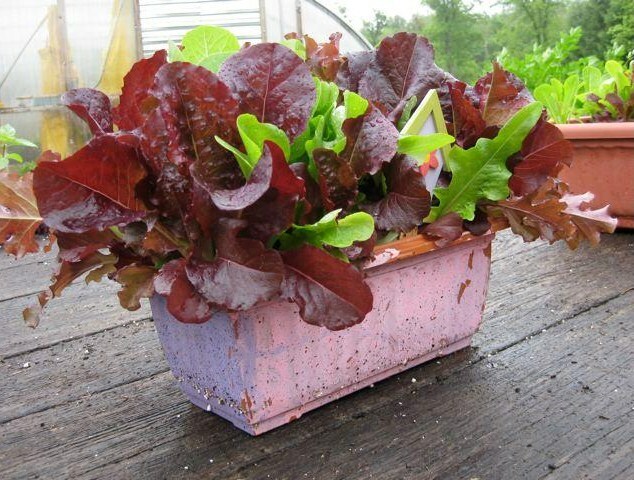 This treat makes a lovely table centerpiece and includes delicious varieties of lettuce. Simply cut the lettuce as you need it and more will grow to enjoy later. I love the idea of fresh lettuce and am dreaming about a salad made with this lettuce. If you don't live in the area, check out your local CSA or Farmer's Market for something like this. What is the most unique and delightful gift that you have ever been given? I'm loving the Palm Beach dishtowel! ;) Jewelry is always a good one from the Husband, in my book! Where can you buy these things?